CORSIER-SUR-VEVEY (Aug. 1) -- Two-time world champion Frank CHAMIZO (ITA) rose four spots to No.1 at 74kg in the August 2018 Ranking Series for freestyle wrestling. 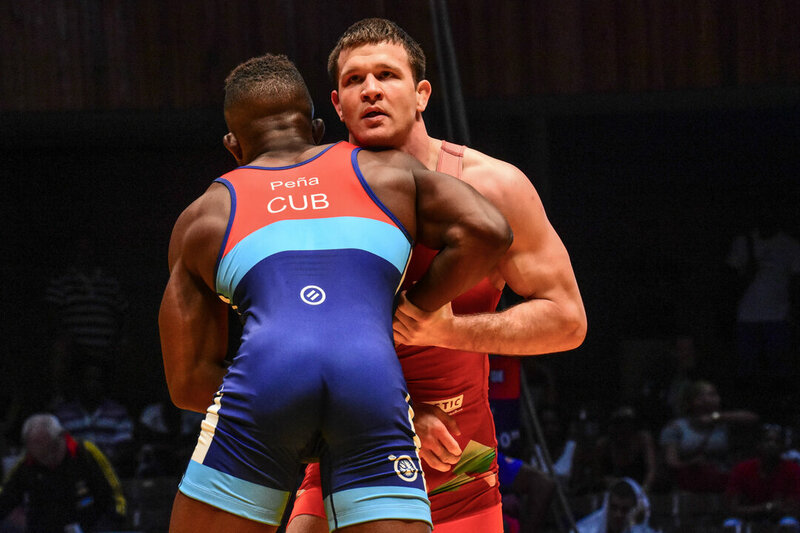 Chamizo, a world champion last year at 70kg, recently captured a gold medal at the Yasar Dogu with a criteria victory (10-10) over returning world champion Jordan BURROUGHS (USA), avenging a loss from May. Chamizo won a European bronze medal in May, with his lone loss coming to Soner DEMIRTAS (TUR) in the semifinals. Russia leads the pack with four wrestlers ranked No.1 in freestyle. No other country has multiple top-ranked wrestlers in the freestyle rankings. Russia's No.1-ranked wrestlers include Zavur UGUEV (57kg), Ilias BEKBULATOV (65kg), Akhmed GADZHIMAGOMEDOV (79kg) and Vladislav BAITCAEV (97kg). Both Uguev and Bekbulatov won gold medals at the Yarygin Grand Prix and Dan Kolov-Nikola Petrov tournaments, and both finished as silver medalists at the European Championships. Gadzhimagomedov won a gold at the European Championships, as well as gold medals at the Yarygin Grand Prix and Kolov-Petrov tournaments. Baitcaev claimed his first European title earlier this year, and was also a World Military champion. Fresh off winning a gold medal at the Yasar Dogu, Mohammadjavad EBRAHIMIZIVLAEI (IRI) sits atop the world rankings at 92kg. He won his Yasar Dogu gold by narrowly defeating fellow Iranian Alireza KARIMIMACHIANI on criteria. Earlier this year Ebrahimizivlaei won a gold medal at the Asian Championships. Nicholas GWIAZDOWSKI (USA) holds his No.1 ranking at 125kg after winning a bronze medal at the Yasar Dogu this past weekend. Gwiazdowski, a returning world bronze medalist, won a Pan American gold medal in May and an Ivan Yarygin Grand Prix gold in January. 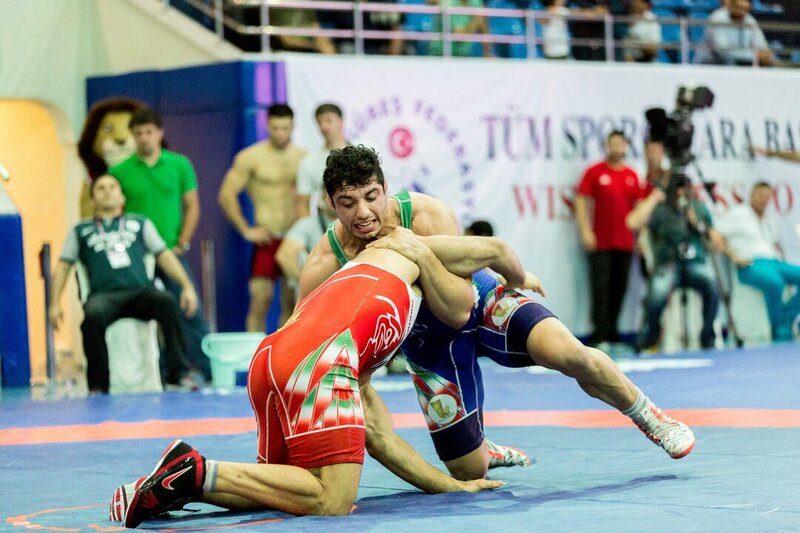 Other top-ranked freestyle wrestlers include Asian bronze medalist Abbos RAKHMONOV (UZB) at 61kg, Andriy KVYATKOVSKYY (UKR) at 70kg and Fatih ERDIN (TUR) at 86kg. The final Ranking Series event is the Medved, which takes place Sept. 14-16 in Minsk, Belarus.